The Westgate shopping centre will reopen this year, with many designer brands, including Hugo Boss, Michael Kors, Ernest Jones, Calvin Klein and Ted Baker – For a full list click here. A stones throw away will be 59 brand new Luxurious Apartments, with 1 or 2 bedrooms, each with a terrace or balcony. We know that Oxford is now the most un-affordable City in the UK, and these apartments are not an exception! 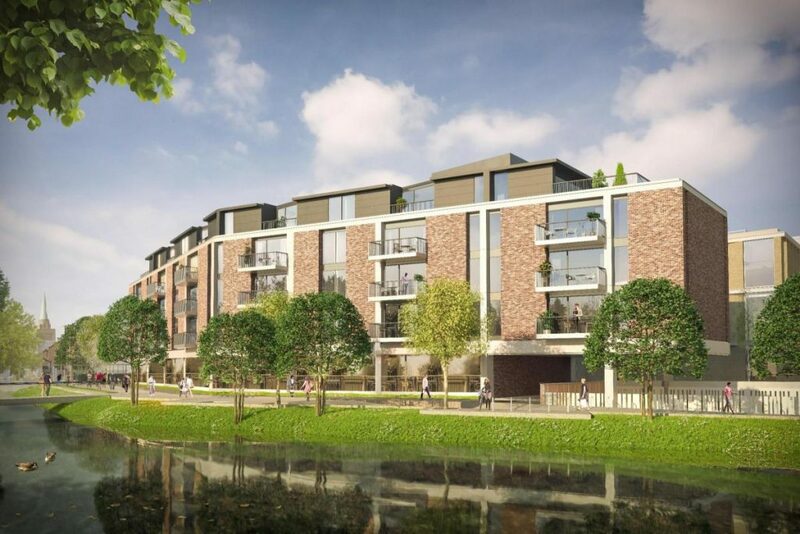 The above artists impression is subject to change, but the apartments will be enhanced by the greenery and riverside landscaping that is planned.